Time for a maths lesson! Now don’t groan, this is the sum of something really special. Designed by Enrico Zanolla, the striking Fractal Coffee Table was created with a precise mathematical pattern. The detailed pattern repeats itself to give the table a hypnotic feel. 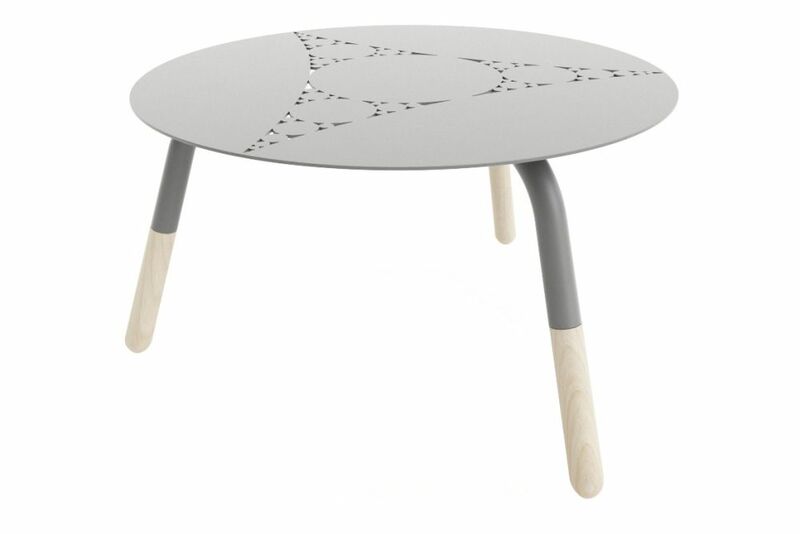 Crafted from a laser cut metal sheet, the tabletop is beautifully accentuated by solid beech legs, which together offer a heightened contrasting effect. Mesmerising mathematical stuff.